My name is Luthando Lulu Siyamthanda Mzilikazi. I am 25 years old and I’m currently a Rotational Business Analyst at Allan Gray. I am the last born of three kids raised by a single mother. I was raised in Khayelitsha where I still live today. My brother and sister are more than ten years older than me so I grew up more or less as an only child. That has had its advantages. My mom was able to spend money on me because she had enough. But it also had disadvantages – I never had people to reach out to who I could trust. And who do you turn to as a child when you have no one to get advice from or tell secrets to? Other kids who are just as naive as you! I say my mom had enough money, but that’s not actually true. She only had enough money because she worked two jobs and because of that she wasn’t there much. So growing up was difficult for me. Most of the time I was with my gran and my grandpa in Gugulethu where I grew up with my aunt’s children. They are all boys. The discipline from my grandmother was much harder on me than the boys. That’s when you start learning that the world treats women harshly compared to men; that’s when you realise that the world you live in is largely a ‘man’s world’ – especially in the black community. I think that’s what inspired me to want to enter this ‘man’s world’ of the asset management, and change the way people view women and the capitalist system. I thrived at school. It was a space where I felt I could be free, where I could be me. Engaging in different extra-mural activities extended this feeling of being wanted and being valued. In high school, I went back to my mother in Khayelitsha where I tried to fit in, as all teenagers do. My mom worked two jobs so I had a lot of free time. I did a lot of things that I probably shouldn’t have done. I began engaging in activities that no child should do before they’re 18. I went to Sans Souci Girls’ High School in Newlands. an affluent neighbourhood in the southern suburbs of Cape Town. So I sort of knew right from wrong – more so than the kids I surrounded myself with who all went to high schools in Khayelitsha. Since underage drinking was a normal occurrence in Khayelitsha, I never took the time to question this ugly trend. I pulled myself out of those habits but then I got sucked into the Blesser-Blessee environment in Grade 10 because my mom was always away. I never had a dad so this was my opportunity to at least get some sort of love from a male figure. That’s the year I fell pregnant. I was the first to fall pregnant in my street and after me there were nine other girls. I actually warned them, but the more I tried to warn them, the more it was a case of, “who are you to tell us?”. This was quite sad because only one of them has finished Matric. I’m the only one to make it into varsity, nevermind successfully completing two degrees. Up until I got pregnant I was dancing every day of my life after school but that had to stop because I had a growing tummy. It was probably the hardest time of my life. Up until then I thought I was going to be a famous actress, doing theatre work, doing television work, dancing for the rest of my life; being on the creative side of things. Up until then I had family support. And then boom. My family only found out at six months because I was too scared to tell them. The guy was nine years older. When my family finally found out, they stopped supporting me – even emotionally. Everyone was saying ‘abort!’. How do you abort at six months? My mom was the only one who stood up and said: “You know what, Luthando’s my child and I choose to allow her to keep the baby to preserve her life and the baby’s life.” She received a lot of judgment from the family, and rejection as well. It was even harsher than the judgment and rejection that I received. With the benefit of hindsight, I think that was the turning point of my life. 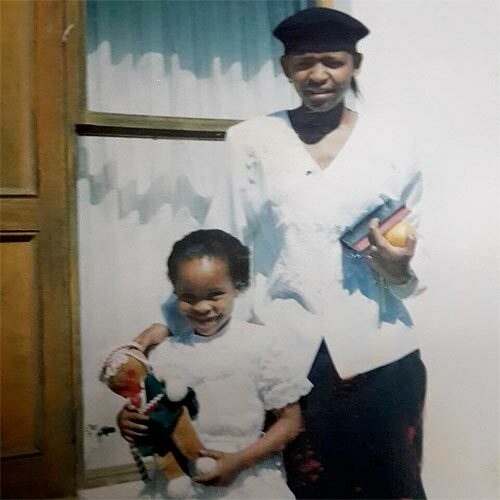 That is when I decided I needed to go back to school – even though some people wanted me to quit school and go and work at Shoprite and fund my baby. I gave birth in the first week of October, wrote my finals in the last weeks of October, and passed well. But the school didn’t want to keep me anymore because it would affect their reputation. I had to quickly find another school that would take me as their ‘problem child’. A former model C school took me in – Rhodes High School in Mowbray. There was a lot of violence in that school, but at least they gave me a chance at a point when I was so vulnerable and almost on the brink of giving up on life. My gran was one of the very few people who never judged me. She was the first to spot that I was pregnant, but she never judged me. She always showed me love. If she was mad at me for making a mistake, she never showed it. She gave me more love than anyone else. She passed away in 2013. I wish she could have been at my graduation day. On a practical level, she raised my son. I think that was the one thing that allowed me to juggle everything. It gave me extra time because I did not have to rush straight back home after school it gave me time to actually engage in extra-murals, tutoring, all of those things. The father of my child already had a child when he was 21. This was his second kid and he so much wanted a girl. Most guys would have been happy for the child to be a boy, but he wanted a girl. I bumped into him this year after many years of not seeing him. My son is eight by the way. He’s eight and he’s in Grade three. He was top of the class for maths and reading last year. So I was really happy with that. 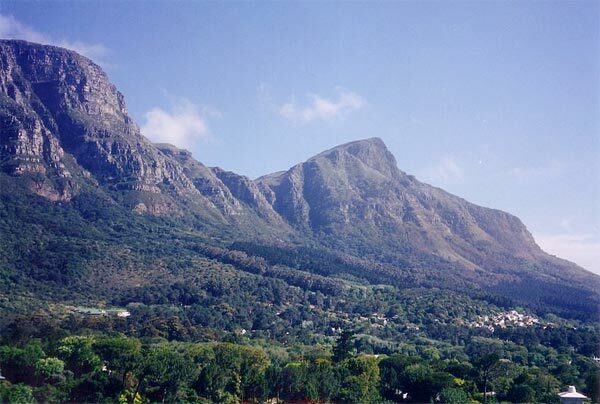 Newlands is an affluent neighbourhood in the southern suburbs of Cape Town. By Andre De Wet CC BY-SA 3.0. Khayelitsha is one of the poorest areas in Cape Town where about half of the residents live in informal dwellings according to Census 2011. Read more about Khayelitsha here. Typically, this refers to the relationship between an older, rich man and a younger (sometimes unemployed) woman who is ‘blessed’ financially through the relationship. This ‘blessing’ could include shopping sprees, hair and beauty treatments, overseas trips, cars etc. While the figures for teenage pregnancies are declining in South Africa (from 42% in 1984 to 30% in 2008), these figures are still high. This has a number of negative consequences for the mother – her chances of school drop-out are higher, she has an increased risk of depression, and is likely to attain lower levels of education. This then has knock-on effects for the next generation of children who may experience health, developmental and/or behavioural problems. Ward, C, Makusha, T and Bray, R. Parenting, poverty and young people in South Africa: What are the connections? South African Child Gauge, 2015. I might have been on a different trajectory if I hadn’t had these experiences. I think I would’ve done more creative work if I had not had my child. My mom insisted that I needed to focus on academics and get a nine-to-five job. To get the best nine-to-five job, you need to get a degree and you only have certain available options, like engineering or a B.Com. Had I not fallen pregnant at 15, and given birth at 16, I think I would’ve continued in the arts. But I don’t think I would have met the fantastic people I have met – really high-impact leaders who have changed the way I think. I don’t think I would’ve realised how much strength, resilience and perseverance I have. I don’t think I would’ve wanted to be bold and brave. I would’ve been a gypsy somewhere, smoking weed and being free. I think I would have continued thinking that life owes me an experience. Instead, I have truly lived the experience and it’s so much more potent and so much more impactful than it would have been if I had enacted the artistic character in myself. When I think of what unlocks potential, for me it was having the responsibility of another human being who was fully dependant on me, whose eyes are fixed on me as a role model – someone who is going to teach him about life… That created a mindshift for me. There was also the shock of thinking that everyone would always be there for me, and then being faced with the rejection. So the first big mindshift for me was the realisation of how quickly things can change and second, that the support system you think you have, might not always be there. 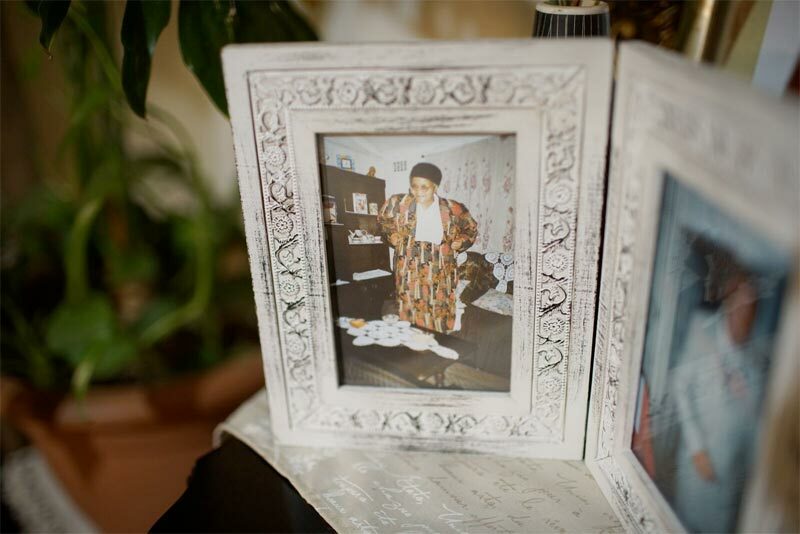 While I stayed with my gran during my primary-school years, my mom was studying for her nursing undergraduate degree at the University of the Western Cape (UWC). She then did a postgraduate in Denver, Colorado in the US. I don’t know where she got the inspiration to even think that she could go to America. I’m sure it’s probably an opportunity that came about while she was at UWC and she took it. She’s always understood the benefits of studying – especially as a woman. Her first marriage failed because he was an abusive alcoholic. She then decided to go back to school so she could build a life with honour and not depend on a man. That’s the kind of life she wanted for me; even more so now that I’ve got a child who needs to be supported financially. My mom moonlighted as a nurse, which meant the moment she clocked out of one hospital she would go and work in the next hospital for about four or five hours. I think I get my drive from her. She’s 64 years old now. My sister was also instrumental. I don’t think I would’ve gotten so far in life without her support. My child was financially raised by her – she put him through school. She also paid for my registration fees back in first year – she gave me R3 500 so I could register. That scared me so much that I wanted to work damn hard. I knew there must be some opportunities for people who are trying to study. I applied to the University of the Western Cape and the University of Cape Town (UCT). UCT rejected me so then I went to UWC. If I was at UCT, I don’t think I would’ve been one of the shining stars. It would’ve been harder for me to shine; at UWC it was easy because not many students go the extra mile. 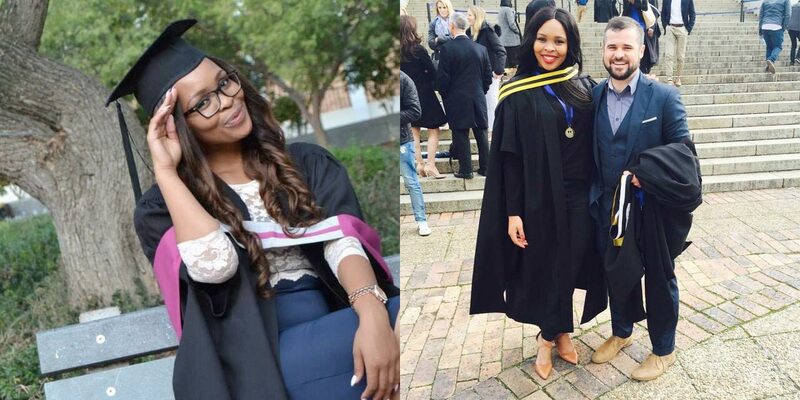 For my Honours degree I moved to UCT because I needed an extra challenge; I also wanted to show my employer that I’m not the kind of person who sticks within their comfort zone. I googled and came across the Allan Gray Orbis Foundation scholarship. I applied during my first year and did everything I thought would best position me to receive the scholarship. I applied for other bursaries as well just to hedge my bets. I worked on my marks. I made sure that I gave back to my community. I made sure that I initiated things at varsity – there was so much to fix at UWC so I had the opportunity to start quite a few things. It was amazing to get the Orbis scholarship! Orbis was not just an opportunity to get funding. Orbis was an organisation that wanted nothing from you but to make you the best version of yourself – and they were willing to put up financing for four years to back you. In my second year I began tutoring, mentoring and doing internships. I also hosted talks on campus. Then I started a resource hub for students who wanted to stand out, but didn’t know where to start, as well as for students who wanted certain scholarships, private tutoring, private mentoring, and internship opportunities. I wanted to prototype it within the B.Com faculty to see if it could work there. Many students that come into that environment become average because they just don’t know where to start. Some of them haven’t been through hardships and some of them, because they’ve been through so many hardships, have given up on life. They’re just going through the system because they were told they need to go to university. This resource hub is called ‘Stand Out’. It’s at UWC and it’s still running! The Foundation assigned me an industry mentor, who happens to be my boss now. We spoke about many things; sometimes I alluded to things that were happening at home. She asked me if I had considered working at Allan Gray. We started to ask why Fellows from the Allan Gray Orbis Foundation scholarship, who aspired to work in asset management, are not working at Allan Gray. That’s when I decided to try and get a job with them. So now she is my boss. She’s an incredibly intelligent woman. Like all relationships, we have our differences at times. She has taught me so much about problem-solving, modelling and building my numerical ability. Upfront payments and registration fees at universities across South Africa can vary from zero to over R20 000. UCT has the largest upfront payment requirement of R21 500 payable in February (read more here). At some universities, NSFAS students are not required to pay registration or upfront fees. However, NSFAS has been criticised for its late payment of these fees (read more here). Have a look at our Pathways from School to Work infographic for a birds-eye view of the post-school options in South Africa. Here you can see a list of bursaries and scholarships brought to you by JobStarter. How can we help young people do good on the big transitions that shape the rest of their lives? You don’t choose challenges, the challenges choose you. You choose what you gain from those challenges – and what you lose out on. I’m bold and I’m brave in the sense that I completed two finance degrees with great academic scores and joined a male-dominated industry, despite being a teen mom. My first rotation was in the Investment Team. That’s when I realised the perception of it being a male-dominated industry is not a perception, it’s real. Of our team of 22 people, only two are black African. The rest are white and, with one exception, all are males. So I was bold and brave in that sense – brave to be breaking into that space. The best way to show people they can make it in life is by living it through your own life. So I want to be bold and brave for others. In terms of how my community probably sees me, I think at first glance they see a privileged person who’s had a lovely life, who speaks English, and works at a great firm. But the only way I could get to this place in life was through studying finance and investments. I’m now able to relay the message of what investments are and what sort of options you have; what it can do for you as a person who’s investing, but also for the future generations of your children. I feel that because the average black person hasn’t had excess funds, they don’t understand the power of compound interest. By the time I die, I want the average black person to be able to speak the investment language. My mother worked two jobs so we had enough money to survive. I began to realise that poverty is a lived experience for certain members of our population. They are people who behave, talk and look like me. So I wondered how can I use my degree to help? My sense is that investment analysis benefits the white majority given that they own most of the capital flowing within the country. At Allan Gray, and probably with most big asset management firms, the average investor who brings in a sizeable inflow is a 55-year-old white male. So, as part of the investment team, I worked towards something that benefits that typical white male. ‘How do I sleep at night, knowing this is my reality?,’ I began to ask myself. 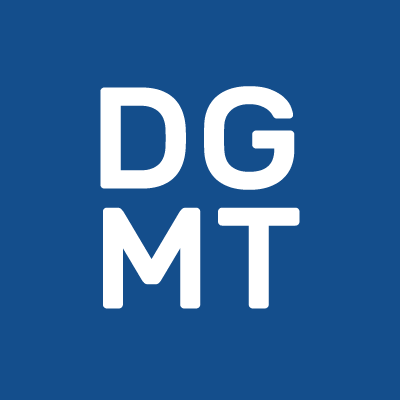 Luckily enough I joined the firm when they had just put together a team called ‘Strategic Markets’, whose long-term team objective is to transform our retail client base to better represent the demographics of our country. Put simply, they aim to change the mindset of black people towards investing and investment opportunities. That has given me hope that even the Allan Gray’s of this world are shifting towards providing products that represent the South African demographic. I am currently working in the ‘Institutional Team’, which services institutions that put the monthly contributions of nurses and mineworkers into Allan Gray Funds. These teams have also completely shaken my understanding and view of the Allan Gray’s of this world. It won’t be easy. If we want our country to change from being a nation of spenders to savers, a lot of things need to change on a systemic level. If you want to buy something online, whether it be from H&M or Zando, it’s so easy: you just put in your account details, and it gets shipped to you. If you want to save, it’s a much lengthier process! There are FICA documents that you have to print out and scan, before your new investment is even recognised. This process has been set up as an industry standard; it’s not an Allan Gray issue, it’s a national issue. So if you’ve got R500, what are you going to do rather – save or spend? Showing that the extent of over-debtedness amongst young South Africans is on the increase: from 2014 to 2015, there was a 214% increase in applications for debt review from youth aged 21 to 25 years (read more here). This is part of a larger crisis of high levels of debt amongst South Africans, with South Africans named as the biggest borrowers in the world (read more here). After my son’s school fees, I invest about 40% of my disposable income through my retirement annuity, through my tax-free account and through my unit trust. So I’ve got three investment vehicles. The one is for when I retire; the other one (the tax-free account) is basically an emergency savings account – I’m saving in that vehicle because it’s a tax-free account, which means you don’t get taxed on any capital or any money that has grown by you investing in that vehicle; then I invest in a unit trust, which is money I will probably use during the holiday season. I’ve got investment goals. I’ve got something that I’m planning for or that I can visualise when I put the money away. I think for black people it’s easy to consume because for so long we didn’t have any explicit investment goals. The wrong perception about investment is that you need a lot of money to be able to invest. At Allan Gray you only need R500 per month. The minimum investment size for various funds differs across asset management companies, but generally, the R500 per month is consistent across the big firms. You are able to withdraw, or increase your contributions whenever you please (instead of putting it in a bank where they usually quote relatively lower returns). This way your money works for you while you get on with your life. So, the first step is to visualise a goal – this can be whatever means a lot to you, whether you want to build your mother a house in the next four years or you want to get married, and you need to have lobola money in two years. This helps when moments come along when you have to choose between spending now or taking that same R500 and putting it in an account. I feel like I’m very privileged because the people I surround myself with are all investors. So it’s easy for me to wear the same clothes every day because people understand; they are also spending their money on investing. A car? I don’t need a car. I can commute via public transport. There’s Uber if my destination is in a weird place. When I calculated it, buying a car with insurance, petrol and whatever else, will cost me R6 000 a month. I’m putting most of that money in my investment vehicles. For me, it doesn’t make financial sense to buy a car, but I do understand why black people would want to immediately buy big assets when they start working: because now everyone must ‘see’ that I’ve made it. So there are those who question this decision every day and every day I choose to explain myself. If I don’t educate them about an alternative way of thinking, who will? All these complexities and I’m like, ‘why are we putting ourselves through this?’. But again, it’s this whole thing of coming from a background of not having and now you can suddenly afford things. But, if you give into that, you should know that you have given up an opportunity to give yourself a financial push – two times further than what your annual salary could ever push you. When it comes to entrepreneurship, people tend to think that it has to be a business or a non-profit organisation – and I’ve come to realise that entrepreneurship can even begin within the company that you work for. If you see inefficiency at work, at school, or even at home – try and think of a solution to make it better. Don’t be complacent and be like, ‘oh this is wrong, but okay’. For me, entrepreneurship has three layers: business, non-profit and in employment, where you can solve things in little ways and that, for me, defines a true leader and drives real change. Trevor Manuel, who I met through the Nedbank Old Mutual Budget Speech competition, is currently mentoring me and guiding me in the process of starting a bursary trust in my community. The Trust funds high-school children from Grade 8. Many of the kids drop out because they don’t have enough support. The teachers are teaching 40 children in a class; they don’t have time to give them support. We hope to finance kids who need the financing, but also to be a resource hub. We are connecting them with private tutors, private mentors, and job-shadowing opportunities for those who are in Grade 9. We also offer psychological help through organisations that already exist in Khayelitsha. Many of the children have been through stuff that mentors actually aren’t trained to handle. It’s an ongoing sustainable model that we are looking forward to establishing and hopefully realising the impact we aim to achieve. Many people will know my friend Lovelyn Nwadeyi through her University of Stellenbosch speech, ‘Courage, Compassion and Complexity’. She started in the same month as I did here at Allan Gray. We did the first three days of orientation together. She came up to me and was like, “Luthando I love your passion for investments – my name is Lovelyn, can we be friends?”. The next day the talk was on transformation and she led it. It was ‘wow!’. So there are black girls out there who are willing to shake hands with other black girls who are strong! She demolished the way I viewed black people because if I think back to my university days, a lot of the black people didn’t relate to me at all. I was a girl who sat in front, who always knew the answers while the rest of the black people sat at the back. I was never really accepted into those huge groups because I was always different. My friends were predominantly Chinese or they were from other African countries. So she’s been one person that’s changed my perception about women – especially black women. I believe that you are as strong as the top five people that you spend most of your time with. She’s certainly one of those five people for me. I see her every day at lunch, when we have a whole hour together and we brainstorm certain problems or decisions we have to make. I love people who are always planning for the next big thing in their life. I love people who critically analyse my thoughts, the way that I think, the way that I do things and who criticise me where necessary. When I’m wrong, tell me I’m wrong; tell me how you would’ve done it better. Call me into order when I need to be called into order. I need to trust you. I need to see that you want me to flourish in the same way that you want yourself to flourish. Another of my top five people is Carmen Lopes, a lecturer of economics, currently doing her PhD in economics at UWC. She found me in my first year, loved me and coached me through a lot of my life issues. She still does that even today. She went through a lot of struggles of her own because we live in a patriarchal society. She’s also of the notion that it’s time women stop running and start supporting each other to bring about the change we want to see in those male-dominated spaces. I’m grateful for the people who gave me chances. They really didn’t have to. 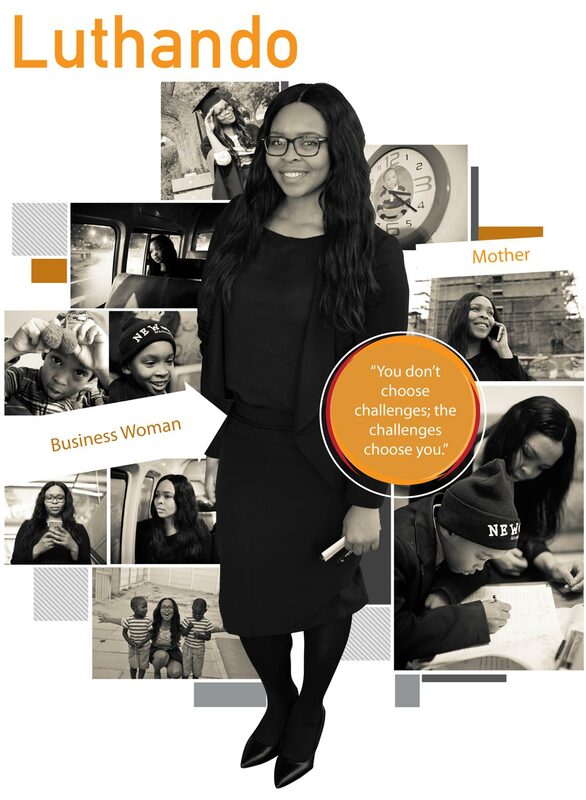 According to the 2015 Women in Leadership Census produced by the Businesswomen’s Association of South Africa (Bwasa), South African corporates have a long way to go to achieve gender parity. For example, of the 293 JSE-listed companies surveyed, just seven have female CEOs (read more here). I know what my end goal is. I want to be remembered for being the person who was bold enough and brave enough to go into spaces that traditionally benefited only a few. I want to be someone who changed the cycle, or at least influenced the change, from us being a spending community to a saving community. I’m still trying to figure out how to do that. The happiest time of my life would probably be every time I got a phone call to say that I’ve got something that I applied for. As for the proudest moment of my life? If your academic results are in the top three of the entire stream, your name gets embossed on a gold plate by the entrance of the Dean’s office. So it was when I saw my name for the first time on this plate. Little did I know it would be embossed for two years. That was a very proud moment because I showed consistency regardless of the struggles I faced at home. Schooling has truly been much safe sanctuary. In five years’ time I definitely want my name to be known within the asset management space as a really good analyst, one of the few black females. Well actually, I hate the fact that we have to say ‘few black females’. I just want to be known as a good analyst. Then from there I want to be a good analyst who’s having an impact in the black community by helping people see what investment vehicles can do for you and future generations. And one that has put many children through high school. That is ideally what I would like to spend the rest of my life doing. And I want to get married… I want to be married at a young age. I’m not currently dating, though. I want to first find out who I am and then I’ll know what I want in a man. I want to choose. Social psychologists warn that labelling people according to categories such as race, gender, class etc. can have important implications that can impact the life outcomes of people who are labelled. Read more here.